The Shoalwater Bay Tribe is a federally recognized tribe with 373 members, of whom 84 live on the remote reservation in Pacific County, Washington, 150 miles southwest of Seattle. Formed 150 years ago, the 1/2 square mile reservation is located in a crook of coastline where tribes from the Pacific Northwest used to gather to trade. Flooding and extreme erosion are constant threats. Although small in size, the Tribe has big goals to improve and maintain the physical, social, emotional and spiritual health of its people. The community promotes healthy behavior and active living; invests in the lives and well-being of its youth; and tends to all residents’ medical, dental and mental health needs with its wellness center. With the threat of flooding and tsunami hazards, the Shoalwater Bay tribal members voted to relocate their community. 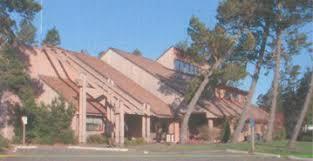 The Tribe purchased land beyond Eagle Hill using gaming funds and constructed a multipurpose building 55 feet above sea level that doubles as an evacuation center in case of a tsunami, earthquake or flood. The Tribe’s sharpened focus on community health began in the early 1990s after Tribal women experienced a perplexing increase in the frequency of miscarriages and infant deaths. With the very future of the Tribe in jeopardy, the experience proved to be a turning point. At the time, the closest tribal clinic was 70 miles away at another reservation. Motivated to improve the health of its community, the Tribe developed a small clinic in four rooms at its Tribal center. The clinic’s success led to the opening in 2005 of the larger, stand‐alone Shoalwater Bay Wellness Center, which was funded in part by gaming funds. The Wellness Center now provides medical, dental, behavioral health and substance abuse services not only for the tribal members but for all neighbors. Shoalwater Bay Tribe is a recipient of the “Robert Wood Johnson Foundation” 2016 Culture of Health Prize. Tribes are dedicated to improving the quality of the lives of their people and the community. Gaming revenue has made it possible for sovereign nations to develop the infrastructure and means by which to be successful in this mission. Through safety and wellness initiatives tribes are able to restore a sense of balance among their citizens.